In Yellville, Arkansas, the community celebration of the year is the annual Turkey Trot. The featured event is the "turkey drop" in which live turkeys are tossed from planes to waiting townspeople. University of Arkansas at Fayetteville poultry science professor Yvonne Vizzier Thaxton told Arkansas Online, "Placing turkeys in an environment that is new to them is stressful. In the case of an airplane, the noise would also be a stress-producing fear reaction. Dropping one from 500 feet is a horrific act of abuse." This fear reaction has caused many birds to plummet to their deaths after being hurled from the plane. Those turkeys who survive the shock of their deplaning must then contest with a massive, bloodthirsty crowd who will fight to capture the frightened animal before slaughtering it. Only a few lucky turkeys manage to glide away to safety and freedom. It's unclear if the turkeys are wild or domesticated, but even if they are the wild, flying variety, turkeys are not high altitude fliers. Wild turkeys stay at an altitude of less than 100 feet. Five-hundred feet, the height required by the FAA, is far above a turkey's normal flight ceiling. This public abuse and massacre of animals should not constitute legitimate fun or entertainment. There is no excuse for this barbarism. Tell the Governor of Arkansas, the Arkansas Attorney General, and the Arkansas Aviation and Aerospace Commission to work together to spearhead the prosecution of any person involved in the abuse of turkeys in Yellville and enact legislation which prevents this from occurring again in the future. Don't turn a blind eye to those who attempt to pass off animal abuse entertainment! I am writing to you today to express my complete shock and disgust at learning about Yellville's annual "Turkey Trot" event, wherein the main attraction is the hurling of live turkeys from planes to waiting townspeople. Local officials argue that because turkeys can fly, there is no abuse occurring, but that's a willfully ignorant position which ignores the fact that wild turkeys, if these are in fact wild turkeys, have an altitude ceiling of 100 feet. This fear reaction has caused many birds to plummet to their deaths after being hurled from the plane. Those turkeys who survive the shock must then contest with a massive, bloodthirsty crowd who will fight to capture the frightened animal before slaughtering it. 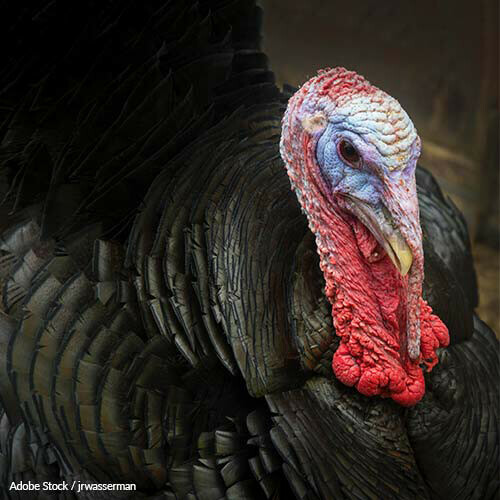 Only a few lucky turkeys manage to glide away to safety and freedom. Please, work together to spearhead the prosecution of any person involved in the abuse of turkeys in Yellville and enact legislation which prevents this from occurring again in the future. Don't turn a blind eye to those who attempt to pass off animal abuse entertainment! That's 16,168 signatures! Let's keep the ball rolling.